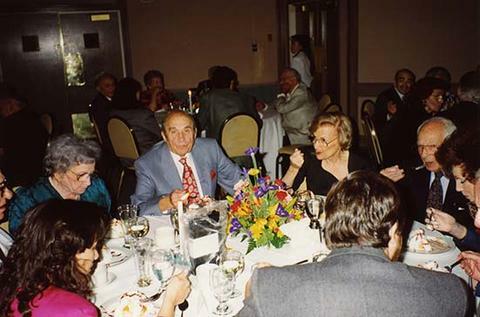 Colour print depicts Dr. Irving and Phyliss Snider on the right side of the image sitting at a table eating at an unknown event. Esther and Ben Dayson are sitting on the left side of the image. This image was likely taken at the Richmond Country Club possibly for Dr. Irving Snider's 90th birthday.